LAS VEGAS (KTNV) — A woman wearing a black hoodie sweatshirt is the least favorite person in a few Summerlin neighborhoods. She is seen on a surveillance camera going to several houses on the same day and suspected of stealing packages off porches. 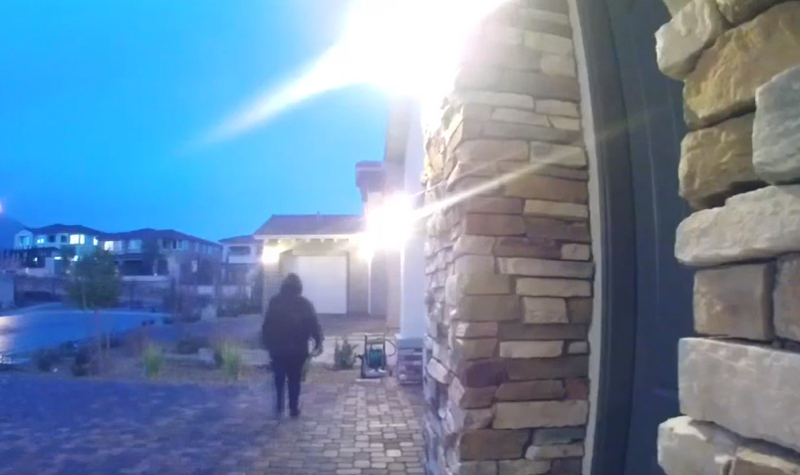 Chee said she didn’t even realize at first that she had been a victim of a woman seen on camera stealing a package right off her porch Monday until she checked the neighborhood app for her Ring doorbell.
" I was scrolling down my phone watching all these videos of my neighbors getting their packages stolen by the same woman, " said Chee. "People are posting that the same lady is going from house to house taking their deliveries and it wasn’t until later that I realized that I had been hit too." Chee said it's not the package. It's the principle. "Rather than having neighbors just share this info among each other we need to make it public," she said. " I feel like it’s my responsibility to keep my community safe from thieves like this." Chee is not the first valley homeowner to take a stand. In December we told you about Madeline Gritge who decided to sell boxes full of horse manure as a porch pirate deterrent. “If you’re to the point where you have to put fake boxes of horse manure on your porch to stop people from taking your stuff, it’s bad,” Gritge said.